CONGRATULATIONS ON RECEIVING YOUR $250 LAUNDRY VOUCHER! Your voucher is valid for any laundry pair (washer and dryer) that has a Minimum Advertised Price (MAP) of $1,000 or more. The $250 will be applied to the MAP for each participating brand. The $250 voucher will be shown as an “INSTANT SAVINGS” on your quote. The voucher must be surrendered at either a) the date of the initial quote, or b) the date the order is placed. Vouchers expire 06.30.2019. All orders must be placed on, or before 06.30.2019. All orders must be delivered no later than 09.30.2019. Please see below for participating brands and for any additional brand-specific Terms & Conditions. The innovator for laundry solutions: FlexWash™ (One machine. Two washers. ), AddWash™ (Add laundry to the wash, even after the cycle has started.) or activewash™ (pre-streat and wash in one place with the built-in sink.). The proof is in the warranty. Up to 7-year, in-home parts & labor warranties. Because the same washers and dryers tested to stand up to years of the most demanding commercial applications are the same machines built and tested to last 25 years in your home. Washers and dryers to tackle any messes. Built-in water faucets, Load & Go™ dispensers, Smart All-In-One Washer & Dryer. 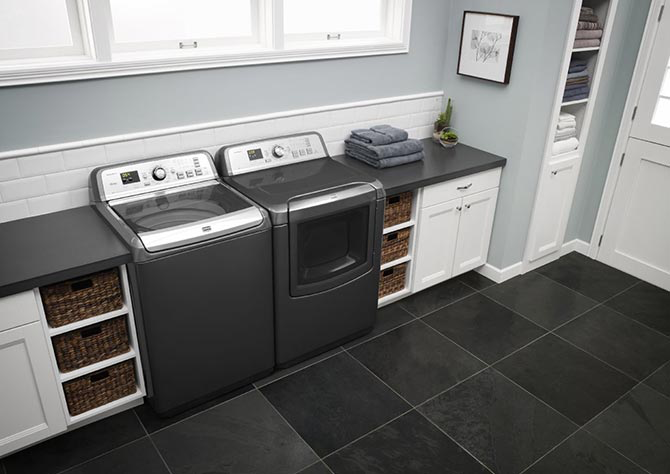 Whirlpool has laundry appliances to keep up with any lifestyle. Designed for the modern laundry, Fisher & Paykel's washing machines and dryers not only look great but offer large capacity, robust construction and high performance. Placed side by side, under a benchtop or stacked to save space, Fisher & Paykel appliances help you create a beautiful laundry to fit your home. Loaded with options. Choose a washing machine with Deep Fill, SmartDispense™ or a Water Station. 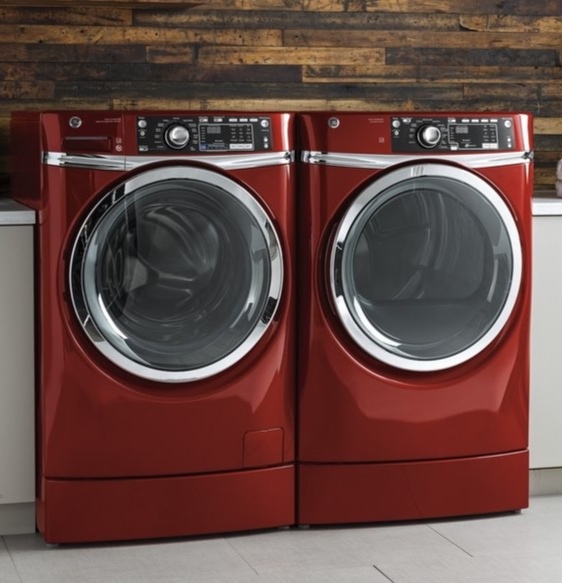 Go old school with a dual-action agitator or modernize with a WiFi connected washer & dryer and easily monitor your laundry. Maytag offers the largest capacity agitator washer at 6.0 Cu. Ft. And they do so with a promise of dependability. That’s why every new Maytag is backed by a decade of dependability thanks to a 10-year limited parts warranty.